An effective inventory management plays a critical role in all operations. It differs from business to business, but the core practices ensure success whether a company is supplying a retail store or in manufacturing industry. Without a proper tracking and monitoring on the stock locations, no operation can work smoothly. To achieve efficient inventory processes, a culture of understanding and accountability cannot be escaped. 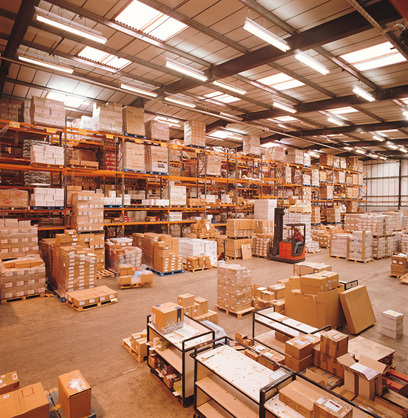 The critical stage of effective inventory management is at the receiving part. Shall there be any errors made at this point will affect and thus creating other problems along the way. As with any aspect of inventory control, top managements emphasis on the three fundamental of fulfillment control: workers, system, and process. Store receivers must be properly trained on their critical work functions. They must understand the standards for accuracy and record management. Automation of data provides engineering constraints on errors. The use of RF/barcode scanning and RF ID technology will reduce the errors compare to manual record keeping. Thus this companies will gain a lot of efficiency and accuracy during receiving. The use of technology will reduces the chances of receiving wrong order or items. However it must be noted that a proper procedure must be established during the receiving, cycle counting, auditing and problem solving when exceptions arise. A very effective inventory management must be measurable. With resources and inventory play a huge part of overall cost, organization must decide the acceptable level of accuracy. In majority of environments, there may not be a return on investment past 90% inventory accuracy. However, there might be in others cases whereby anything less that 100% accuracy, it may cause a critical process failure. Once those expectations had been set, the management must then follow the old adage of inspect what they had expected. A very effective inventory management starts with effective leadership and support from the management. All the 3 steps which we had discussed are then enforced through cycle counts and constant auditing from the management. These are the key support structures in order to achieve effective inventory management. The organizations will then have the visibility necessary to increase efficiency and profitability. Check out Chronos eStockCard inventory software for effective inventory management.